The diner chain declares trans customers can use the restrooms aligning with their gender identity. South Carolina-based diner chain Denny's released a formal statement after a video surfaced of a Republican congressional candidate harassing and chasing a woman out of a ladies' restroom at one of their Los Angeles locations. 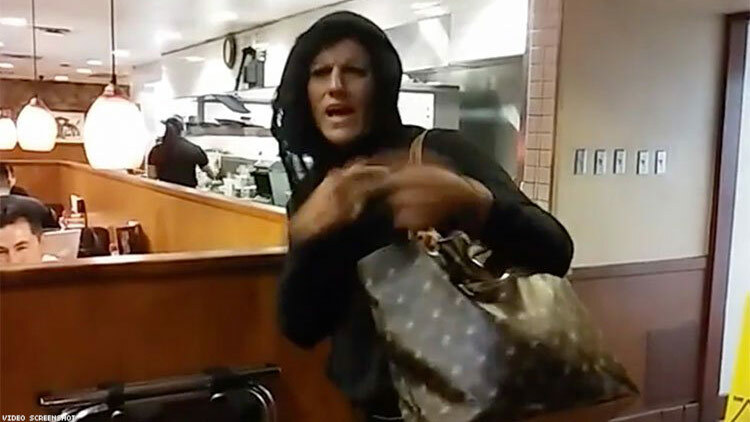 Jazmina Saavedra filmed herself on Tuesday accosting a trans woman using the Denny's ladies' room in the city's Koreatown district. The unidentified trans woman was walked out of the restaurant by a manager, calling into question the restaurant's policy on trans customers and what bathrooms they can access. “We are extremely disturbed by the incident that took place at our Los Angeles restaurant this week. At Denny’s, we do not tolerate discrimination of any kind, inclusive of gender identity and sexual orientation. “We are dedicated to providing a welcoming dining environment for all our guests and believe that our transgender guests and team members should be allowed to use the bathroom of the gender they identify with. Our restaurant teams attend training which covers our policies against discrimination and promotes respect for all guests. “In this particular case, the video of this incident does not tell the full story. Our manager was approached by a guest complaining that a man was in the women’s restroom. Once a female team member checked that no one else was in there, the manager entered. Before seeing the guest, the manager observed drug paraphernalia on the floor near the guest and asked the guest to leave based on that observation, and not on her gender identity. Though neither Saavedra nor the manager is heard discussing drug paraphernalia in the Facebook video, Saavedra later said in an interview with The Advocate that an unidentified waitress told her the trans woman was doing drugs in the ladies' room.